He said he did not categorically tell any one during the press interview with The Punch newspapers that the embattled IPOB leader fled Nigeria through Cameroon and Malaysia to London. 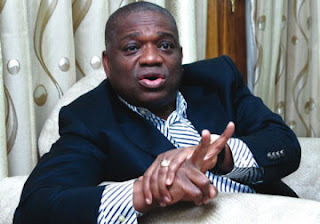 Asked to reconfirm Nnamdi Kanu's whereabouts based on earlier reports that he is London, Dr Kalu said on return from the US he headed for Abia on September 15 having heard about the raging fire between soldiers and IPOB knowing full well what such confrontation with armed soldiers would amount to. He said: ''I didn’t say categorically that he was in London, go and read what I told The Punch newspaper. When I returned from the United States of America on the 14th of September and on the 15th I went straight to Abia because the thing was escalating then. I consulted some of them (IPOB) I consulted the security agencies, the army, the police, SSS and the rest of them and I tried to douse the tension.